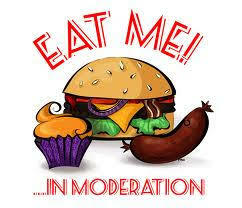 In the world of nutrition we hear the terms balance and moderation ALL THE TIME. There is a good reason for this as the success of a "diet" comes down these two words. I put diet in parentheses because I don't believe in a dieting approach, more a long-term approach to eating that can be sustained FOREVER. The perfect diet would have a balance of whole-food derived protein, complex carbs and healthy fats at each meal in line with an individual's goals, while including tasty, higher-calorie foods in moderation. Below I will discuss how to go about building a balanced meal for your specific goals. If you have not yet read my post on macronutrients, go ahead and give that a quick read first. This will give you a better understanding of the concepts I will talk about here. In 2011, the USDA replaced the MyPyramid with an updated version called MyPlate. The purpose of the update was to bring the guide into the 21st century and introduce new food patterns. This infographic breaks down the various food groups into portions on a plate as you can see in the image below. While not everyone's plate is going to look the same this can serve as a great starting point for most people. First you want to take into consideration what your goals are. Do you want to lose fat, gain muscle. maintain your weight, etc. Your goal will determine how your plate should look. First we will start out with the "maintain weight plate." The maintain weight plate will be the middle one in the above picture. If looking to maintain your weight, a balanced portion would look like, 1/3 complex carbs (brown rice, quinoa, sweet potatoes), 1/3 non-starchy vegetables (broccoli, green beans, asparagus, etc., 1/3 lean protein (lean ground beef, chicken breast, tofu, etc.). This would provide you with enough of each macronutrient to maintain your weight while also getting in a good amount of vegetables. Next up would be the fat loss plate, pictured on the left in the image above. This plate would consist of 1/2 non-starchy fruits and vegetables, 1/3-1/2 of lean protein and 1/4 complex carbs. This plate would provide you with enough protein and vegetables to fill you up, while limiting the amount of carbohydrates you are consuming. This does not mean carbs are bad, but by consuming smaller amounts of simple carbs (white bread, pasta, doughnuts, sugary cereals) and more complex carbs you can satisfy your hunger while meeting your fat loss goals. Lastly we come to the muscle gain plate. While it may sounds odd to need to gain weight, some individuals have just as hard a time gaining weight, as those that struggling with losing weight. The weight gain plate would consist of 1/2 carbohydrates, 1/3 protein and 1/4 - 1/3 non-starchy vegetables. The focus of this plate is the carbs. In this ratio they provide sufficient energy to meet the body's needs, plus some extra to promote slight weight gain. You may ask, where are the fats on these plates? And that is a great question. Many times the foods that we consume already contain a certain amount of fats in them such as meats and some carbohydrates. 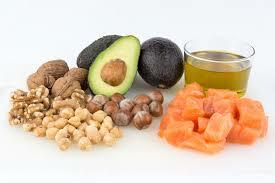 Fats are an essential nutrient and should not be cut out of the diet. When using the "plate method" be sure to include servings of fats from healthy sources such as: olive oil, avocado, nut butters and fatty fish. Fats are more energy dense than protein and carbs so be sure to be aware of portion sizes. On each of the plates you can see that protein remains fairly consistent. This is because protein provides the building blocks that your body needs to rebuild muscle and regular hormones, among many other functions. The only plate where protein may be slightly higher is the fat loss plate. 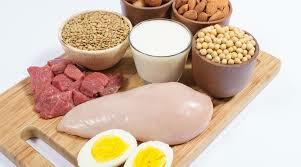 In this situation the added protein would help serve to satisfy hunger due to slightly lower carbohydrates. Additionally, the vegetables would also serve this purposed being that most are rather filling when eaten in larger quantities. For those that consume dairy, it can also be included in the balanced meal. 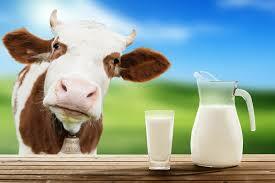 Alternatively dairy can be eaten between meals as a snack such as yogurt with granola or cheese and crackers. Dairy provides essential vitamins and minerals (calcium, potassium, phosphorus, vitamins A, D and B12, riboflavin, and niacin) that aren't found in the same quantities in other foods. If you don't eat dairy there are many other food sources to get these nutrients, though they may not be as concentrated. And there you have it. Some methods that you can implement immediately to help you meet your nutrition and fitness goals. This is one tool of many that can be used. Using the plate method helps you focus on one meal at a time rather than becoming overwhelmed by planning out a full day of eating. Next time you sit down to a meal, take notice of the ratios of macronutrients (protein, carbs, fats) on your plate. This will help you create a more balanced meal. What other methods do you like to use to create a balanced meal? Please let me know in the comments section! And until next time my friends, BE ELITE!